David Scott, 77, passed away Monday, September 10, 2018 at Wayne UNC Health Care in Goldsboro. A celebration of his life will be held Friday, September 21, 2018 at 1 p.m. at St. Francis Episcopal Church in Goldsboro. The family will receive friends following the service in the church fellowship hall. Since David loved wearing denim, the family asks that you wear your favorite denim shirt or jeans that day. Mr. Scott was born in England on April 02, 1941 to the late George and Evelyn Lee Scott. 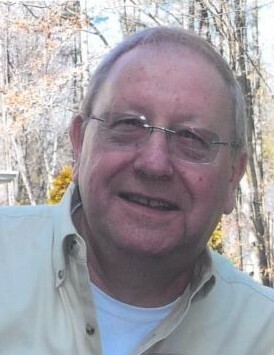 He was past employed with APV in England from 1961 to 1988 and then transferred to the Goldsboro Plant from 1988 to 1999. He is survived by his wife, Patricia Conti Scott; his children, Jane (Danny) Raymond of Billingshurst, England, John (Sarah) Scott of Southwater, England, Special son, Jeremy Shazell (Lydia) Falkland Islands, Jill (Michael) Riddle of Richmond, Virginia, Jacqueline (Van) Ingram of Gelsenkirchen, Germany and Jennifer Bobrow of Richmond, Virginia; his grandchildren, Tom (Sarah) and Lewis Scott of England, Jade and William Raymond of England, Logan (Paige) Conti of Richmond, Virginia, Madeline and Amanda Riddle of Richmond, Virginia, John and Tom Ingram of Gelsenkirchen, Germany and Libby Shazell of Falkland Islands; one great-grandchild, Ruby-Mae Raymond of England and his furry kids, Maggie and Oscar. In lieu of flowers, memorial contributions may be directed to the Patriot Rovers, an organization which he was very passionate about. Patriot Rovers Inc., 8001 Clinard Farms Road, High Point, NC 27265.